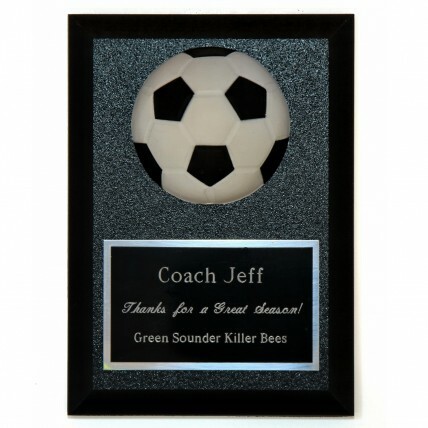 The 3-D Soccer Award Plaque is a unique 3-dimensional soccer ball mounted on a classic black plate. The plaque measures 5x7 and has a simple but classic cove edge detailing. 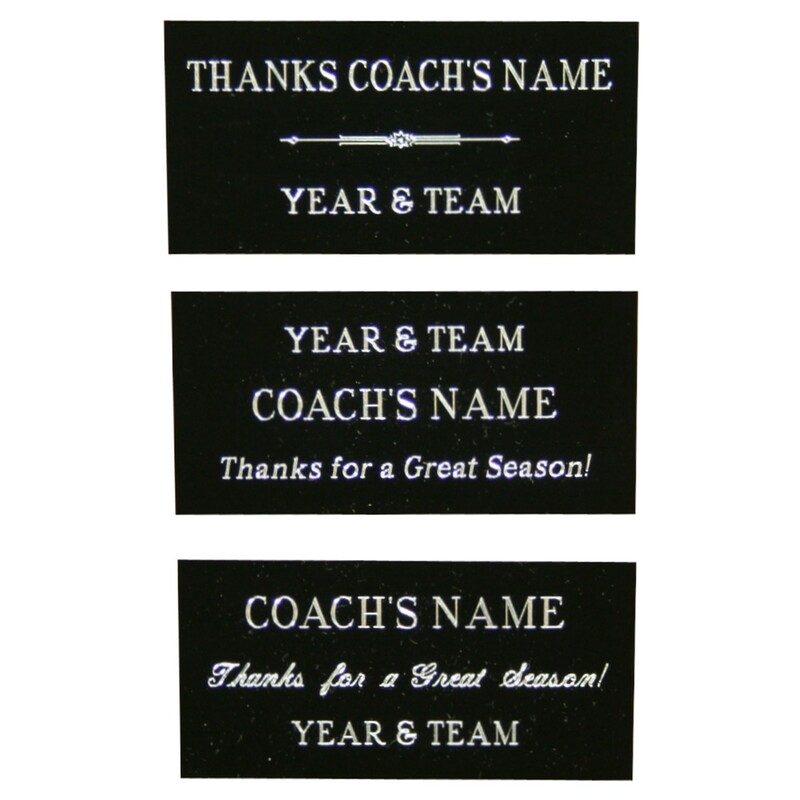 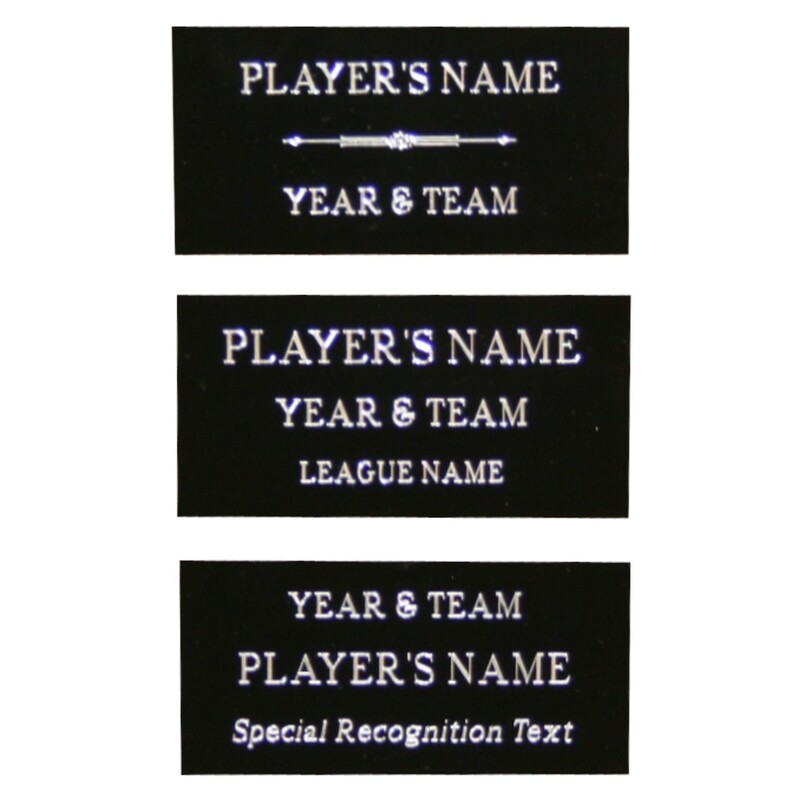 Price includes up to 4 lines of engraving on a black plate with silver letters.